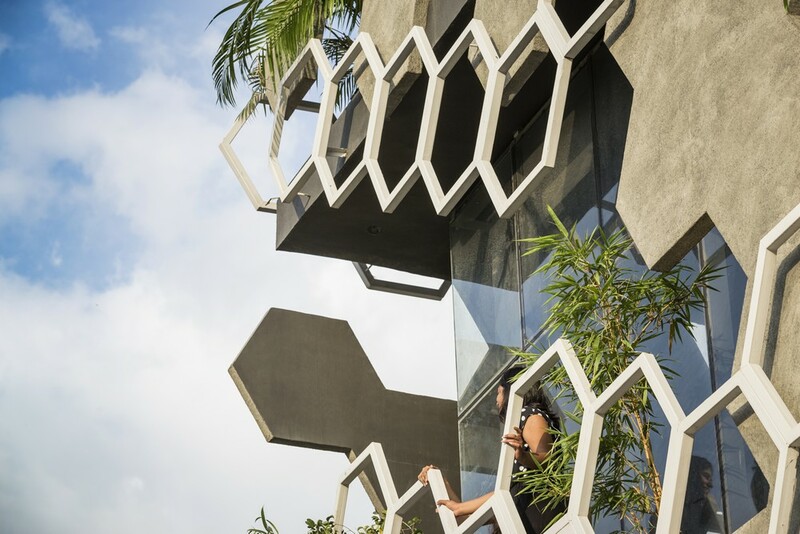 Considering the arduous climatic conditions involving extreme heat, and the building front facing west, the façade emerged as a buffer of stratifying elements. 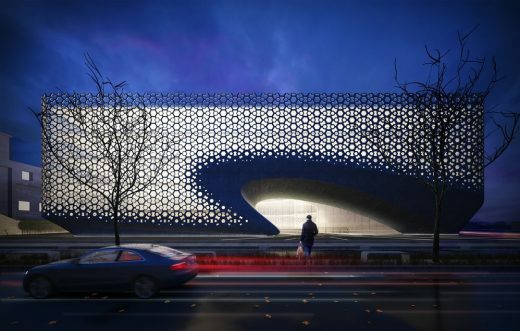 3 inches thick concrete layer with hexagonal interstices has been used as a shading element. To better preserve the sanctity of shade, the screen flows organically creating an artistic visual dilemma from both inside as well as outside. 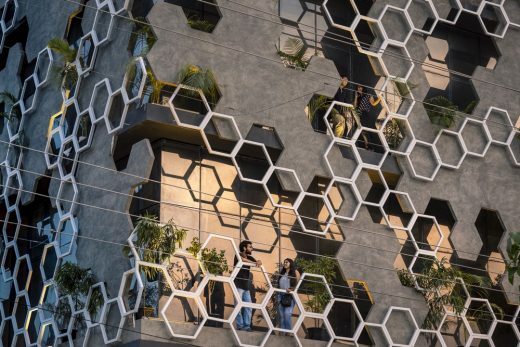 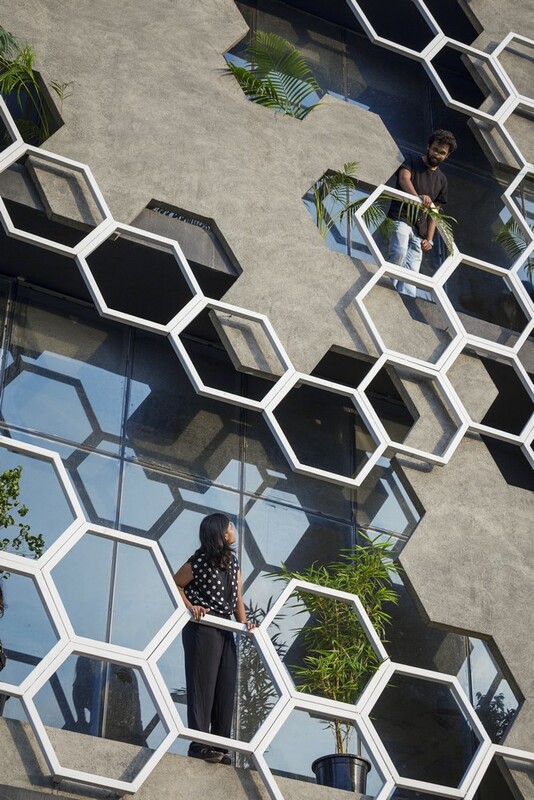 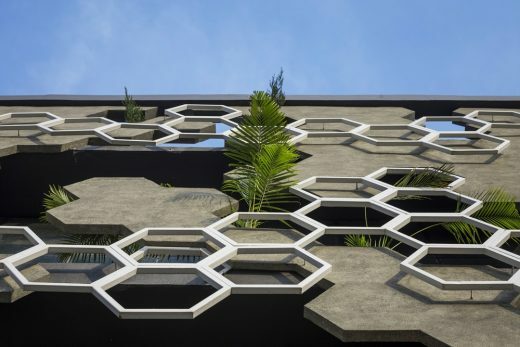 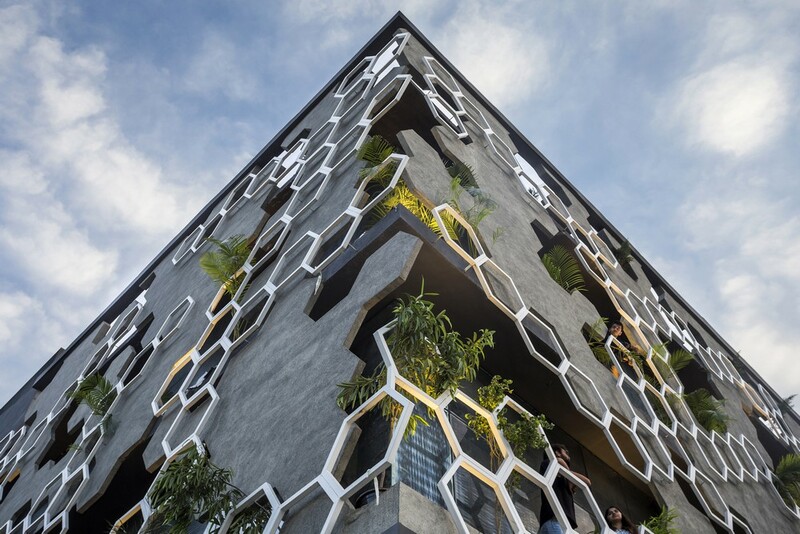 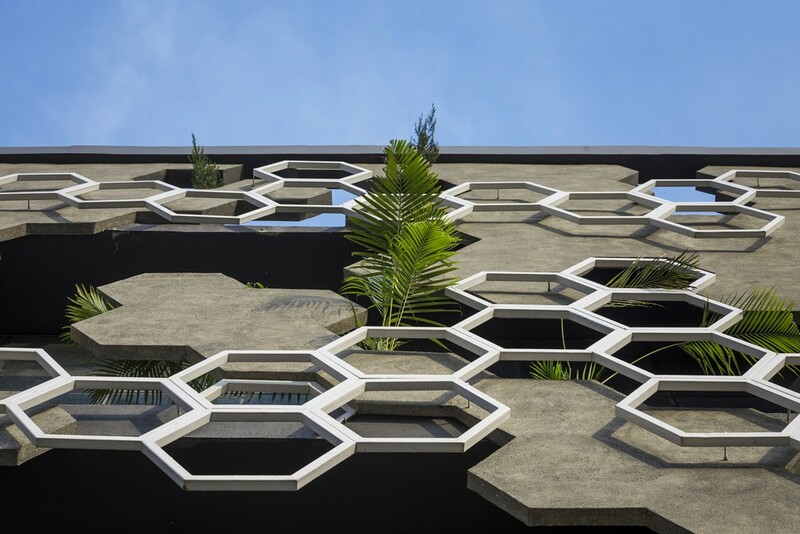 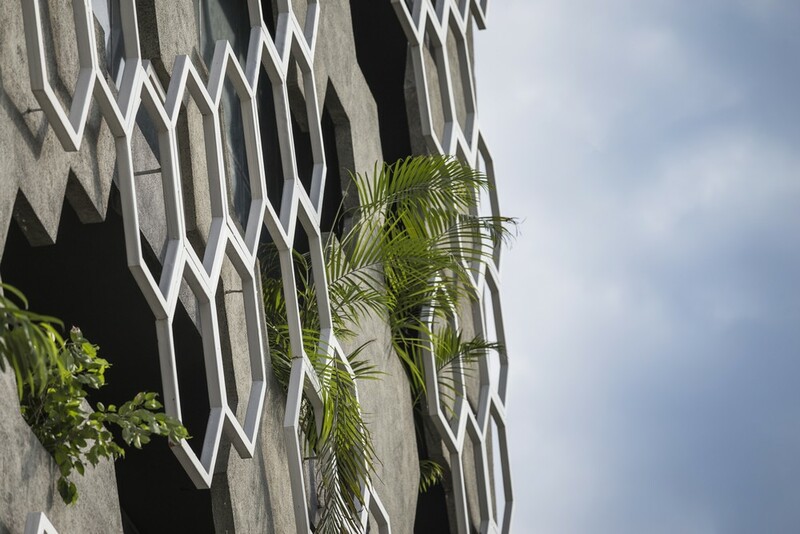 Another layer of hexagonal silhouette made of metal frames is superimposed horizontally across the semi-permeable concrete screen which doubles up as balcony fence. Furthermore, the main curtain wall has been recessed to leave pockets of air between the screen and the main building to increase the time lag and subsequently reduce the heat gain. 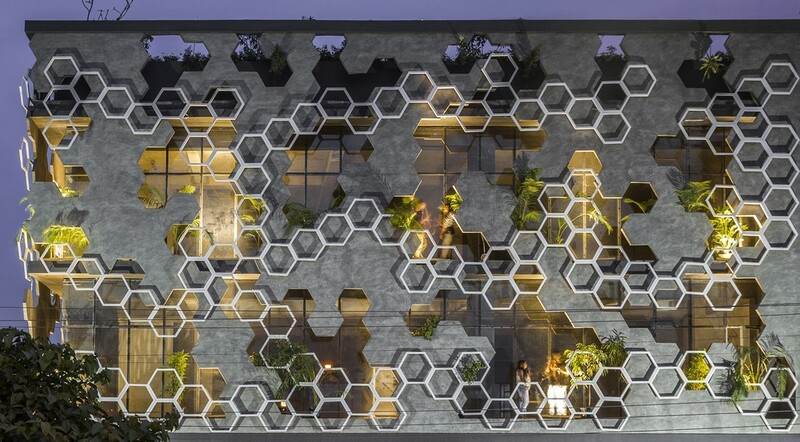 Therefore, the facade by its inherent virtue of convergence acts as bronchioles for the structure. 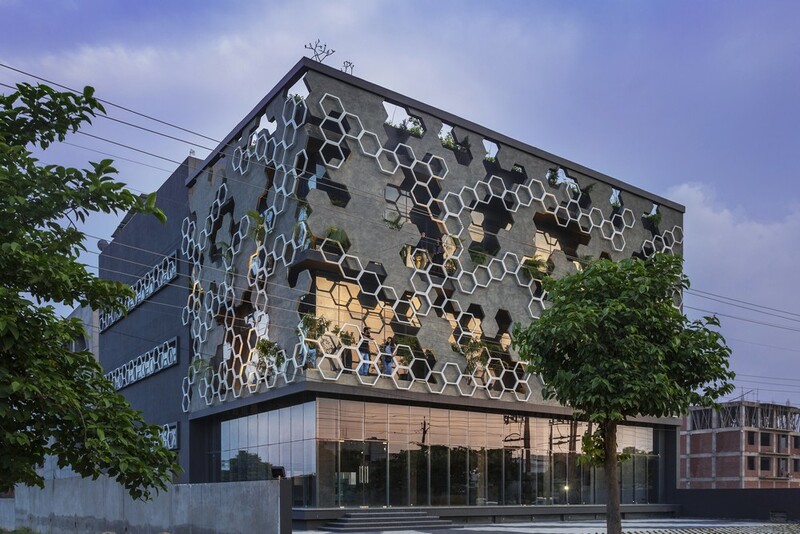 With a passion for creating something distinctive and a taste for experimentation, Studio Ardete has completed various projects in India and abroad. 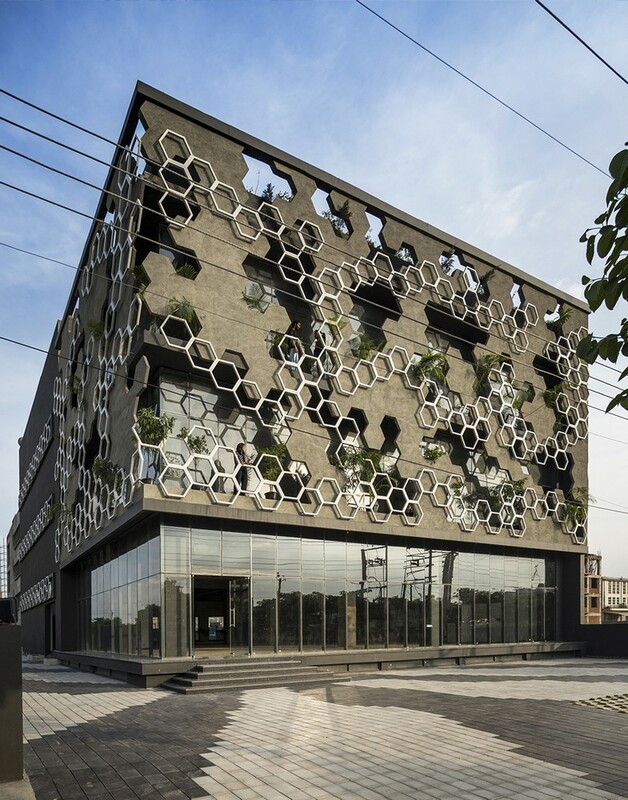 Having designed in parts of Asia and Europe, including Japan, Italy and France, they believe in a wider, more analytical approach. 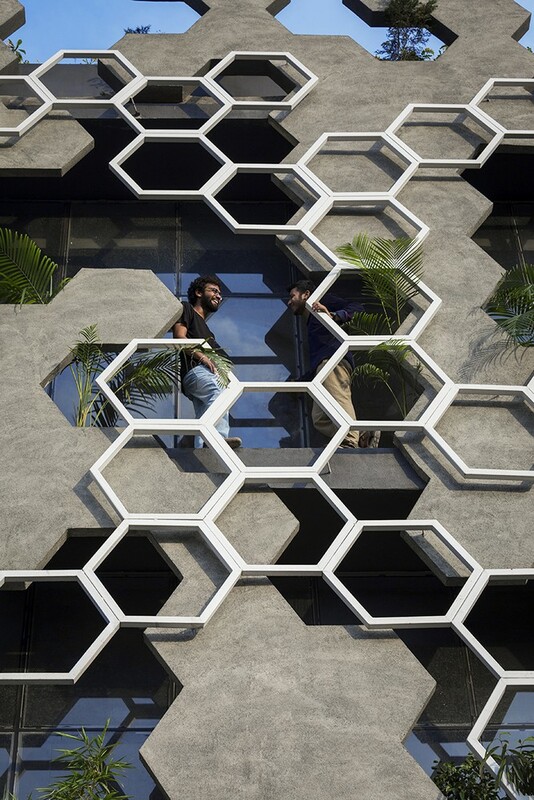 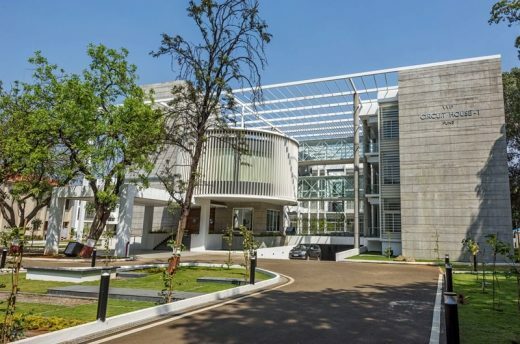 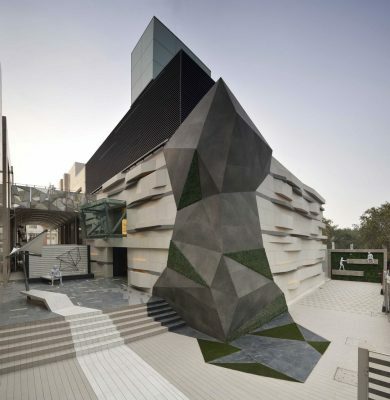 They have also been published in various national and international architecture and design magazines and online portals, besides being the finalists for the WAF, 2015 and Runners-Up for AR Design Awards, Finalist for World Architecture Festival (WAF 2017),Euro Shop retail design award 2017 and Silver winner for FOAID 2017, NDTV Grohe Awards for best washroom design. Smart Green Awards 2018 for best washrooms design. 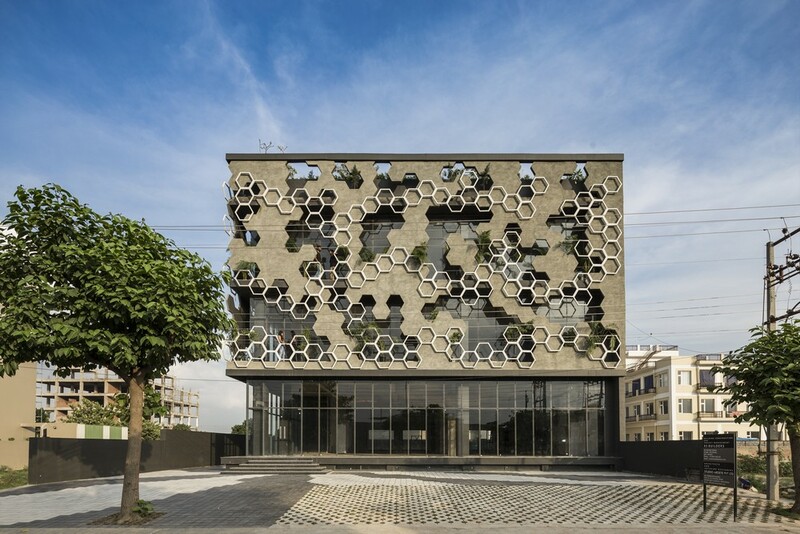 Shortlist BAVILION for WAF-2018 under Production Energy and Recycling.